Not too long ago I discovered a way to be mindful quite by accident. This way to be mindful is also ONLY during a specific task. A couple of years ago I wrote briefly about Mindfulness because I had come across a video on Facebook that represented an entirely different definition of mindfulness than I think of mindfulness as. In that post I mentioned walking around while brushing my teeth as not being very mindful. I am not concentrating on the task (brushing my teeth) at hand. I am trying to save time by doing other things while brushing my teeth. The result of that is usually me spending way more time brushing my teeth than I need to because I forget where I have brushed. While I am walking across the room to get my clothes I might have brushed the top front, but then by the time I get to my clothes I have moved onto the top sides. When I grab my clothes I forget if I did the front. So I think I end up brushing and rebrushing. So in effect NOT saving any time at all. Plus the fact that I am just not being mindful of the task at hand. 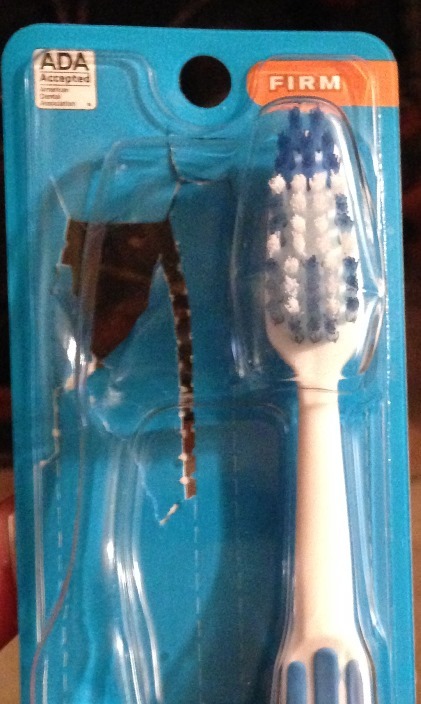 Well, quite by accident I found a sure fire way to MAKE me focus ONLY on brushing my teeth. So, for a bit now, I have been standing at my sink brushing my teeth – JUST brushing my teeth. For those of you that do that normally, I am sure this sounds ridiculous. But I know there are a lot of others out there like me who do other things while brushing their teeth and it sounds ridiculous, even unimaginable, for other reasons. Well, yup . . . there it is – FORCED mindfulness. I think it actually saves me time. As I mentioned, before there was unnecessary brushing. Now there is not and so it is much more efficient. Now, if I could just let this cross over into some of the other things I do. There are moments with some tasks where I am very focused, but some tasks just don’t seem like they need my full attention. And then that is when I end up with spilled liquid, a broken nail, a misplaced item, or something else unwanted. Do you have any tips or tricks for staying focused and being mindful?